Beyond Foundations class has an important change - it's on "open registration" now, meaning that the class will never close and you can run the sequences and post them at any time you want. BEYOND Foundations class discusses Which line - Which move - And Why. This class is appropriate for all who have basic Foundations skills. You only need 1 tunnel and 6 jumps. Actually, even just 4 jumps alone will make it possible to run everything, broken in parts. 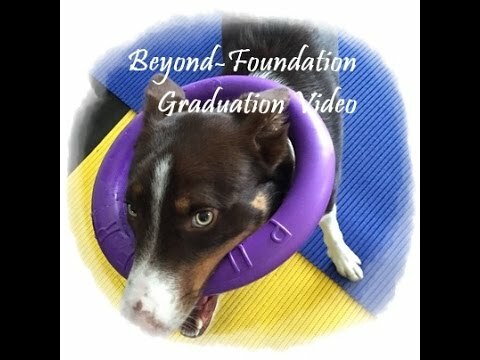 This class is handling-focused - we'll be focusing on how to choose the best line for your dog, in combination with the best handling move for you. All the sequences in this class are taken from recent trials - that either I ran or we discussed in Graduates class. I on purpose picked those where there were many possible handling options - both on which move to choose and on which line to choose. We'll try various options on the same set up and you can then time them to see which one is fastest for your dog. 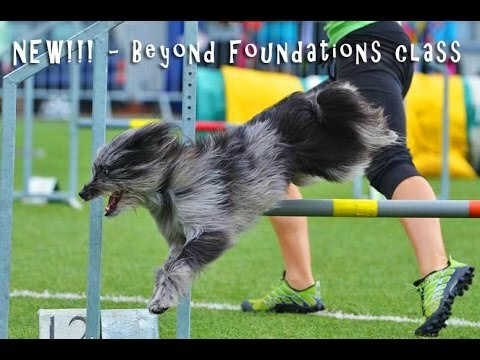 We'll try all other options too, just to be ready for any challenge agility course can bring. There are 5 different sequences, each with various options for handling and the lines you can choose - I show all options with my dogs, with video comparisons in slow motion + analysis of what worked best etc. We'll also discuss how to choose best and most efficient line and handling in trials, so you are welcome to send course maps from your trials/training that you want to discuss as well. You can join and end this class any time you want - it stays open for ever, so you can register now, enter the classroom and post any time you want. I’m wondering if the courses in this open class are the same as we did in April 2017 class? Yes, it’s the same class. I bought this class the first time it was offered. I only audited. I see it is an on going class. Why can’t I watch it? I loved the class and all the others I’m still able to watch.